← Some views of Kep. Incomplete due to power failure ! Can I coax a story out of doing nothing for two days ? Maybe, though perhaps not as interesting as some that have gone before. Happily, here at Kep Lodge, there little or nothing to do. 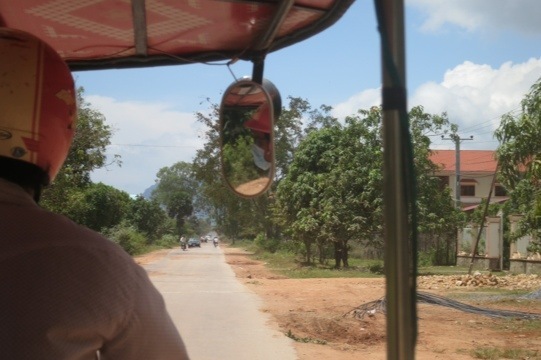 Oh sure the tuk tuk drivers have an interesting itinerary of places to go, the pepper farms, the salt extraction beds, a ruined French colonial retreat, the local capital Kampot even the beach. But the charm of the place is it’s very slow pace. 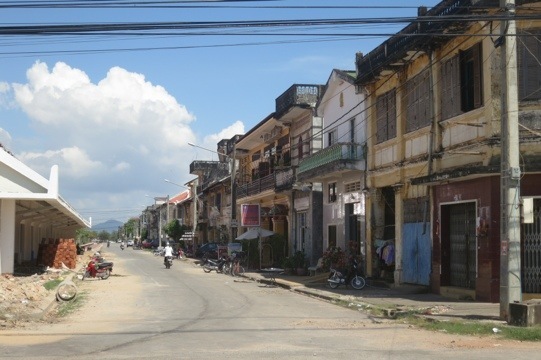 Accordingly, I have done very little.I did take the fifteen km tuk tuk ride to the local capital, Kampot, with the promise of interestingly decaying colonial villas and the like. The ride was extremely bumpy, dusty and just a little uncomfortable, no suspension in a tuk tuk. The countryside was similar to the bus trip down from PP. 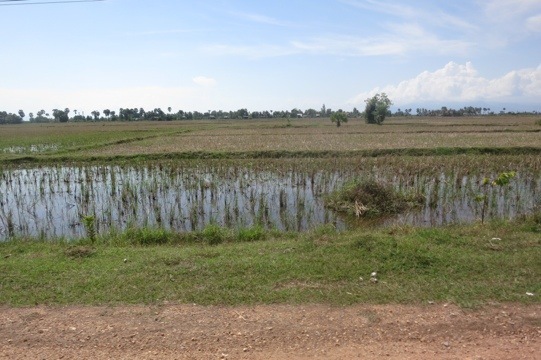 Alas, Kampot was a bit of a disappointment. It was unbelievably hot, maybe because I got there at noon, incredibly dusty, veritable clouds of dust churned up by the many trucks grinding through town and basically there was a general run down feel to the place. The street were wide, boulevards almost, with very little shade, yes I now chose to walk on the shaded side of the road. Frankly after a visit to the market I was ready to call it a day. So I did. Nothing to do – except sleep ,eat and think is good for a while. Yes, have thought and thought and have distilled it down to the very essence. Lovely Sunday morning here. Actually SUN! Looking forward to your next blog en route to India.